Using Greek and Roman primary sources, this workbook for the twenty-first century offers middle- and high-school aged students in Classics, English and Language Arts classes a fresh retelling of timeless tales from Hesiod, Homer, Ovid and other authors. 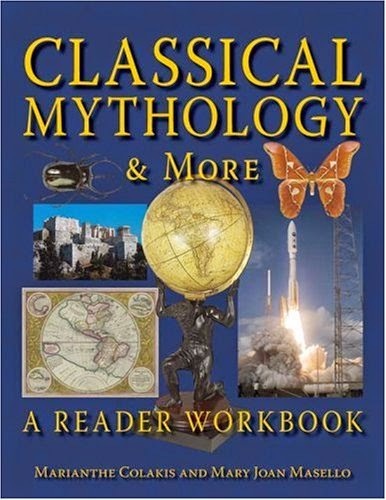 A wide variety of exercises, reflections, and vocabulary enrichment tasks accompany each myth. Students preparing for the ACL Medusa Myth Exam and the ACL National Mythology Exam will find in this an indispensable tool. Creation myths, stories of the Olympians and Titans, legends of the Trojan War cycle, love stories and tales of transformation are all included here. A teacher resource section provides historical, archaeological, artistic and psychological background, ideas for further research and exploration, as well as hands-on class activities. Special Features -based on primary Latin and Greek sources -a fresh retelling of the timeless tales from Classical Mythology -contains content exercises -English vocabulary words that are based on the myths are explained and accompanied by exercises -reflections upon the enduring quality of the myths are included There is currently no workbook on classical mythology and no book for pre-collegiate students that is based on primary sources.